Some Awesome Valentines Gift Ideas! 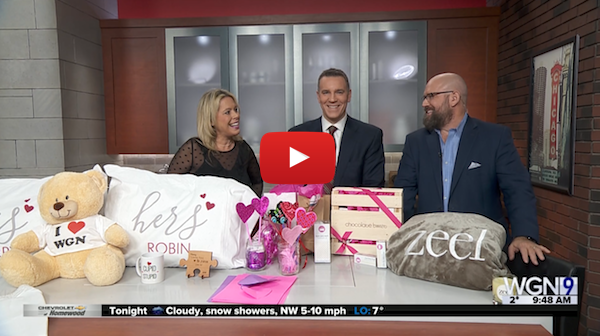 With Valentines day right around the corner, lifestyle expert, Donna Bozzo stopped by to show us some of the trendiest gifts this season. From personalized gifts, to chocolate, to good old fashioned hand made valentines, there are a lot of creative and crafty ways to make your Valentine feel as special as they are this year.